For the longest time, I clung to my wired accessories. While people began sporting Bluetooth ear pieces for making phone calls while driving, I scoffed at them. Why, I thought, do I need another device that I need to remember to recharge when I can just plug in my wired headset and microphone? Then, I got a Bluetooth ear piece and discovered just how freeing going wireless could be. 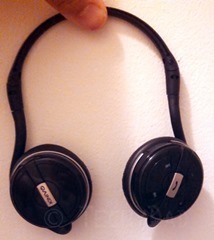 More recently, I decided that I needed new headphones. My existing ear buds just weren’t cutting it. I like listening to music at work, but can’t just blast the music for obvious reasons. Unfortunately, my ear buds didn’t have a volume control. This meant I needed to rely on my phone’s volume control which seemed to go from "too loud" to "mute" in one step – resulting in many a headache from listening to music that was too loud. In addition, the cord from my phone to my ears would get caught on my chair and either pull out of my ears or (worse) pull my phone off my desk. Enter the Kinivo BTH240 Bluetooth headphones. When I was first sent the headphones to review, I was impressed with how they fold up. The sides move in to collapse the headphones down so small that they can fit in your pocket. My second thought, after I put them on, was that they felt uncomfortable. I didn’t like how the band felt on the back of my neck. However, I wondered if this was due to not being used to having headphones on like this. Sure enough, the more I used them, the more I got used to the feeling of having them on. Now, I don’t notice the headphones at all. Of course, the most important part of the headphones is sound quality. Here, the Kinivo headphones excel. No longer am I getting cell phone music induced headaches. Instead, I can make the audio as loud or quiet as I like. In addition, while they don’t call themselves noise-cancelling, I’ve found that they work very well to block out many external sounds. Perhaps a little too well. I’ve had quite a few moments when someone was trying to talk to me while I had my headphones on – and was oblivious to them. There are buttons on the side of the headphones to control audio (increase/decrease volume) and music playing (next song/previous song). There is also another button that is a combination power switch and answer calls button. Yes, as I was pleasantly surprised to discover, you can have the headset on and talk on the phone. While I might not recommend them for driving due to the previously mentioned noise blocking (not hearing a car honking could be very bad indeed), I have put my phone in my pocket, put the headphones on, and talked on the phone while making dinner. Finally, is price. When I was looking for Bluetooth headphones, many were priced at $100 or more. While I’m sure they were very good, I just couldn’t justify denting my bank account that much. The Kinivo, on the other hand, are just $24.99 on Amazon. 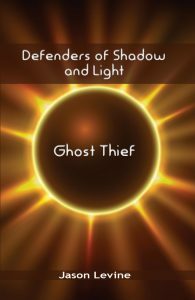 Now for a mini side review. When I was getting the Kinivo BTH240 headphones to review, I was accidentally sent another product instead. 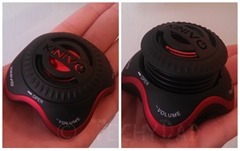 As Kinivo sent the correct product for me to review, I decided to try out what they had sent as well – the Kinivo ZX100 mini-speaker. This is a very small speaker that plugs into your phone’s headphone port. The speaker pops up and provides some very impressive audio. I could definitely see using this to play a series of MP3s for a group or connecting it to a laptop to boost the audio output during a presentation. Given that it costs only $19.19, it won’t break the bank either. Unfortunately, being wired means needing your device right next to your speaker. Kinivo does make a wireless Bluetooth speaker, though, so that product might suit your needs more if you need a wireless speaker. 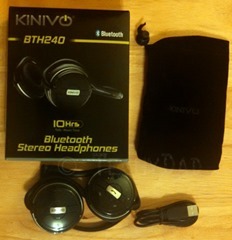 DISCLAIMER: I was sent a Kinivo BTH240 Bluetooth Headphone and ZX100 mini-speaker to review. The opinions expressed above are my own. No compensation (other than the products) was provided.